Leading expert in biomedical informatics, health systems research, quality improvement, and patient safety. In 2000, my doctor found a mass above my left collarbone. It was non-Hodgkin lymphoma which had spread to my chest and abdomen. I was treated with a four-drug chemotherapy regimen that my doctor said had a 40% chance of curing my cancer. I was lucky--it worked, but at that time, my doctor had no idea whether my cancer happened to be susceptible to these toxic drugs. He took his best guess based on his accumulated experience, and I got lucky. But why did it have to be luck? Why couldn't my doctor have known whether my cancer would be killed by these drugs, much the way that I, as an internist, can test bacterial infections for their susceptibility to antibiotics? One of the drugs used to cure my cancer--vincristine--can be toxic to nerves. Ordinarily, the amount given is insufficient to cause this "neuropathy," but some people have a weakened form of the enzyme that the body uses to get rid of (metabolize) the drug. I happened to have the weakened form of this enzyme, and as a result the vincristine damaged the nerves to my feet, making them numb. It damaged the nerves that maintain balance, so I stagger a lot and fall occasionally. It damaged some of the nerves that operate my stomach and bowels, so I'm chronically constipated. Why did this occur? Because there was no test for the weakened form of the enzyme that metabolizes vincristine. My father once received Sinemet, a drug for Parkinson Disease, which caused him to become delirious. His doctor recorded this event in his office chart and noted that my father should never receive that drug again. Two years later, my father was hospitalized after a fall due to his Parkinson Disease, was cared for by doctors who didn't know him, was given Sinemet, became delirious and combative, and was given a small dose of a benzodiazepine sedative to calm him down. But he overreacted to it, stopped breathing, and died. Why did this happen? Because the information about his reaction to Sinemet was in his doctor's paper chart three miles from the hospital and was not available to the hospital's doctors. And there is no test to tell us that he would become over-sedated when given benzodiazepines. None of these bad outcomes had to happen. We know how the drugs that killed my cancer work, and with the right clinical and genetic data from many patients with cancer, scientists should be able to identify markers for susceptibility to various chemotherapy cocktails. More genetics, less guessing, and fewer ineffective toxic drugs. Doctors could then routinely test each lymphoma (or lung or breast or colon cancer) and prescribe these drugs only to those patients most likely to benefit from them. Having lots of good, organized data from lots of cancer patients is the key. This can extend to drug-related toxicity, too. Scientists have identified and studied patients with vincristine-induced neuropathy and identified the enzyme that metabolizes vincristine, found genetic markers for poorly functioning variants, and are developing a commercial test for patients with weakened forms of the enzyme. Eventually, every patient getting vincristine will be tested first, and those with the weak enzyme will be given a lower dose of vincristine to accommodate the body's weakened ability to metabolize it, greatly reducing the risk of neuropathy. And what about my father? Information about severe drug reactions and allergies should be stored electronically in a manner that would push that information available to anyone attempting to order the offending drug. No doctor should be able to prescribe a drug to a patient without being told if that patient has had a life-threatening reaction to it. The technology to do this has been available for decades; what's lacking is the will to routinely connect health care providers to such information. But progress is being made: the 2009 HITECH Act provided a carrot and a stick to encourage every America doctor, clinic, and hospital to adopt electronic health records (EHRs). The carrot was to offset the cost of implementing EHRs by paying up to $44,000 to every physician who used an EHR for writing most orders and notes. The stick for those refusing to use EHRs will be a reduction of up to 3% in Medicare payments. The National Coordinator for Health Information Technology has been charged with certifying that EHRs have the needed functionality to store key information, such as adverse drug events and allergies, and that health care providers are routinely using them. A key to their usefulness in reducing errors, such as that which happened with my father, is interoperability--establishing standards for data coding, storage, and transmission that would allow EHRs to share data with each other. The goal, which is several years off, is a seamless national electronic health data infrastructure that will allow your health information to follow you wherever you seek care. The era of Big Health Data is upon us. More than 90 percent of hospitals and three-quarters of physicians are already using EHRs for most care. Sharing of data within and between health care providers and health systems is rapidly increasing. For example, the Indiana Network for Patient Care (INPC) now connects more than 100 of Indiana's 125 hospitals to a central data repository managed by the Indiana Health Information Exchange. But it's not all roses. Mountains of poorly accessible and organized data can confuse health care providers and even worsen health care quality and safety. And health care data are messy. 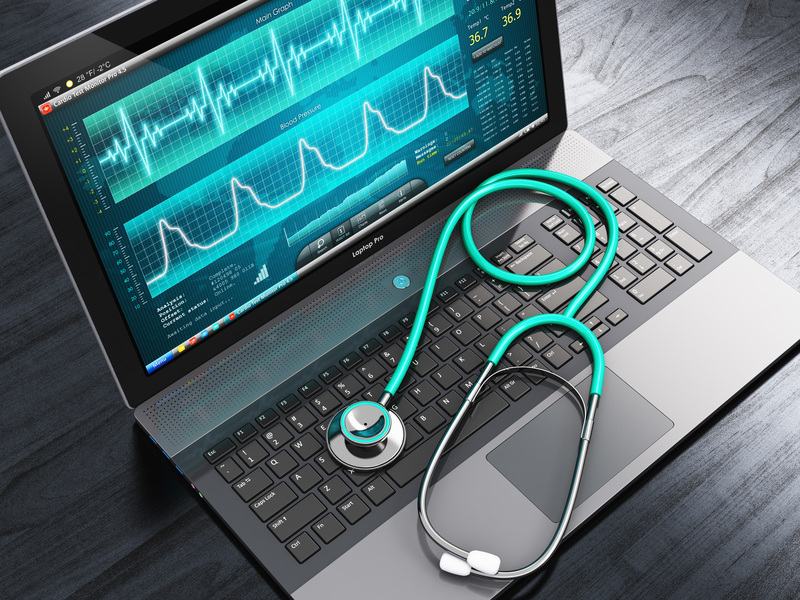 Early diagnoses are often guesses and are sometimes proven wrong, yet they perpetuate in EHRs and can and do result in unnecessary testing and treatment. EHR data can be ambiguous or even wrong: intravenous fluids usually contain significant amounts of the sugar glucose which can raise a patient's blood sugar as if the patient has diabetes. So calling all patients with high blood sugars diabetics will result in over-diagnoses of diabetes. A blood specimen can be drawn, handled, or tested improperly, resulting in erroneous results and again resulting in wrong diagnoses. Finally, doctors and nurses may fail to record some conditions if they are mild and not the reason for the visit. So there can be false-negatives too. Big Health Data can be mucho messy. Yet throughout the history of medicine, most discoveries have occurred through doctors' and other health care providers' observations of health care data. We can now capture those observations more completely and in a digital, analyzable form. This allows scientists to look for unexpected positive and negative side effects. Most new drugs are tested on fewer than 3000 patients before being released to the market. This means that serious, perhaps fatal adverse effects happening as often as one in 30 will be missed. Recognizing this, the FDA now mandates post-marketing surveillance of all new drugs to search for unexpected adverse effects. But side-effects can be positive, too. For example, diuretics are among the most common antihypertension drugs. They can lower potassium, so some diuretics are combined with another drug--triamterene--that reduces potassium loss. A recent analysis of more than 17,000 INPC patients found that triamterene also lowered blood pressure more than just the diuretic alone. In addition to descriptive EHR data from large repositories are high-speed, low-cost tests of DNA, proteins, and the other chemical building blocks of the human body. Combined with clinical data, the resulting humongous databases can be mined to better understand the mechanisms of disease and look for new, less toxic, more effective, and cost-effective approaches to diagnosis and treatment. However, Big Health Data can mislead as well: the more combinations of data one analyzes, the greater the chance that of finding chance correlations that simply are not true cause-and-effect. Big data analysts have tools for minimizing the chances of being misled by false-positive correlations. In this blog series, research scientists from the Regenstrief Institute and Indiana University will provide insight into Big Health Data, describing how they are captured, managed, analyzed, and used in health care delivery and research and how this can and is being done securely with great respect for data confidentiality and patient privacy. They will outline where we are today, where we are headed, and how to get there. Health care is an information business, and the quality, efficiency, effectiveness, cost-effectiveness, and outcomes of care depend on our being able to grasp, understand, and use these data for the benefit of the people that clinicians and scientists serve. We hope the information in this blog will enhance the understanding and appreciation of the place of Big Health Data in health care today, and tomorrow.